Untreated fresh seeds! Traditionally used in divination. In Oaxaca, in Southern Mexico the seeds of this vine are esteemed as one of the principal hallucinogens for use in divination as well as magico-religious and curing rituals. Ipomea violacea seeds give a quiet, dreamy and trippy experience, a clear mind and an heightened sensitivity to light and sounds. The seeds of some varieties contain LSA (D-lysergic acid amide) and can cause visual and perceptual effects similar to LSD. LSA containing varieties include Heavenly Blue, Flying Saucers, and Pearly Gates. While morning-glory seeds may be ground and brewed into tea or taken intravenously, the common method of ingestion is by thorough t chewing. This action, before swallowing, permits the seed 's psychoactive chemicals to be easily absorbed by the body. 3 to 10 grams of seeds are thoroughly chewed and swallowed or may be thoroughly ground and soaked in a cup water for half an hour, strained and drunk. 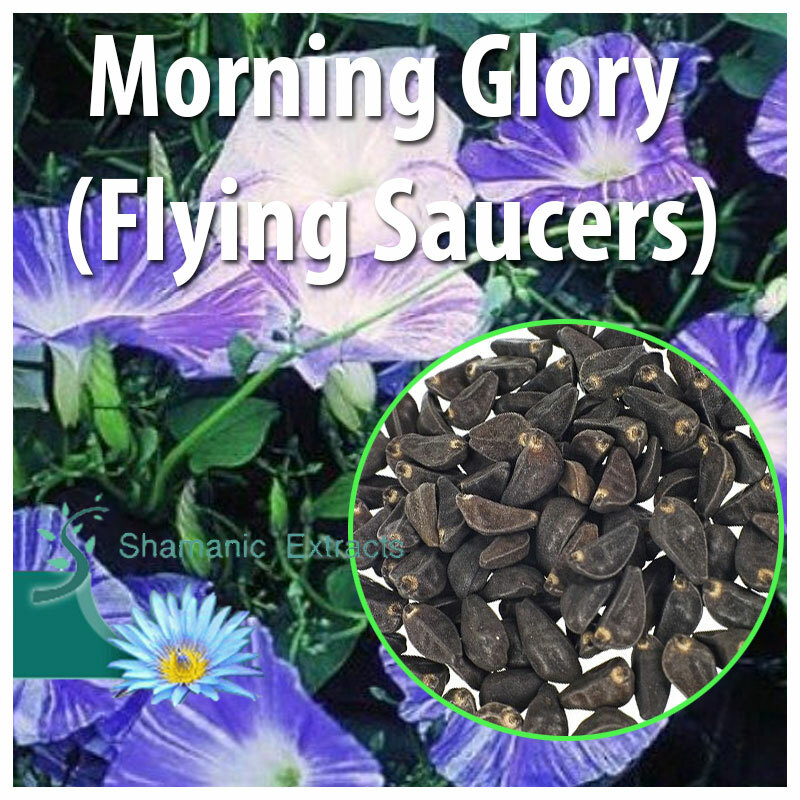 Share your experience about Morning Glory (Flying Saucers) with other customers. Submit your tips or thought on this product, be detailed and specific.